A great addition to the Rooster Wedges recipe provided by Albert Bartlett. Try this dish with branston pickle on the side for extra flavour. 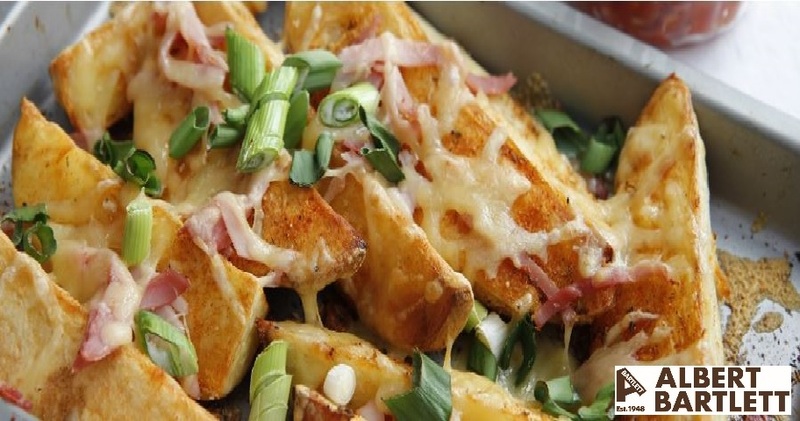 Mix the ham/chicken, cajun spice and grated cheese together then pour over the top of the cooked wedges. Pop back in the oven for 15 minutes for a delicious meal.